Good Investors Make Money. Great Investors Create Value. Finance is the lifeblood of our economy. The ability of firms and individuals to spend and borrow capital is essential to both the startups changing the landscape of society and to the big companies that employ millions of people. 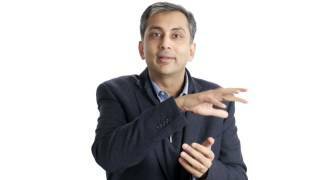 For almost two decades, Mihir Desai, Mizuho Financial Group Professor of Finance at Harvard Business School and Professor of Law at Harvard Law School, has researched and written about economies across the world and how policymakers could make them more prosperous and productive. Now, he’s speaking to business leaders about his groundbreaking findings on tax policy, finance, productivity and foreign investment, and providing future-thinking advice for how to adjust their business strategies to the oncoming challenges of digital life. Professor Desai’s extensive research spans the general direction of the global economy, ethics in finance and tax code simplification frameworks. His lens on such issues as mergers and acquisitions, both domestically and internationally, enables corporations to better understand and navigate the choppy and changing waters of the world economy. In a globalized economy where tax, regulatory and investment climates sharply diverge and are constantly in flux, companies must rely on the expertise of multifaceted experts like Desai to understand where they should target growth, how they should deal with regulatory and political complexities and what they can expect in the future. As debate continues on tax reform in the U.S. and elsewhere, Desai’s research serves as a compass for executives, asset managers, investors, lawmakers and laypeople looking to make sense of finance and the global economic order. Vividly illustrating the intricacies of finance through literature, Professor Desai’s best-selling book, “The Wisdom of Finance: Discovering Humanity in the World of Risk and Return” (Houghton Mifflin Harcourt, May 2017), seeks to change the narrative and popular image of the financial industry. An award-winning teacher, Desai argues that transparency and honesty will bridge the divide between financial institutions and the people they serve. His new book, “How Finance Works: The HBR Guide to Thinking Smart About the Numbers,” (HBR Press, April 2019) centers on managing investors by understanding their mindset and values, a key asset in a world where transparency is demanded and communication is essential. Professor Desai’s research has been cited and reported on in The Economist, BusinessWeek, The New York Times, and Forbes. He received his doctorate degree in political economy from Harvard University, Master of Business Administration as a Baker Scholar from Harvard Business School, and a bachelor’s degree in history and economics from Brown University. In 1994, he was a Fulbright Scholar to India. 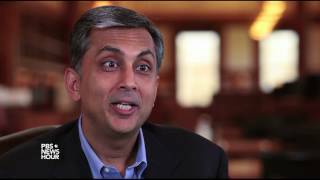 Mihir Desai is available for paid speaking engagements, including keynote addresses, speeches, panels, conference talks and advisory/consulting services, through the exclusive representation of Stern Speakers, a division of Stern Strategy Group®. "Cut Taxes!" Says Harvard Economist. "But Get the Numbers Right!" Finance has often been perceived as a business of swindling and deceit and as a boring matter of spreadsheets and numbers. What makes both these impressions problematic is that finance is actually the lifeblood of our economy, as well as a moral and creative pursuit. Yet it lacks nearly any defenders on these grounds. Until now, that is. 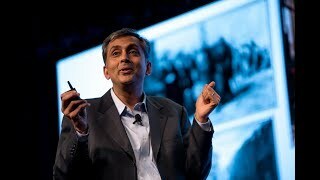 In this presentation based on his latest book, “The Wisdom of Finance: Discovering Humanity in the World of Risk and Return” (Houghton Mifflin Harcourt, May 2017), Professor Mihir Desai examines, through the prism of literature and moral philosophy, how finance betters individuals and the world. 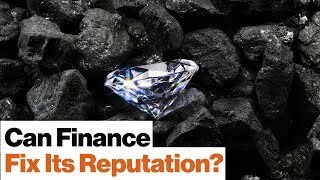 Since the financial crisis of 2008, finance as an industry and profession has been tarnished as morally suspect and corrupt. 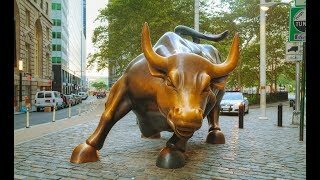 Firms and individuals in finance have failed to regain (or gain at all) the public’s trust in their methods and motives. In his writing and speaking, Desai reveals that if the financial industry is to survive popular disdain – and the political and regulatory attacks that come with it – those who work in and benefit from finance must mount a vigorous defense of its core principles of creation, growth and moral worth. In the process, men and women who work in finance will gain a better insight into their own careers and lives and, perhaps, a better understanding of what they do and how they can do it better. Finance is changing. In addition to the political and regulatory hurdles the industry has faced since 2008, finance is also succumbing to the massive technological disruption which increasingly drives and jeopardizes our economy. In this presentation designed to equip financial professionals with the tools needed to usher their industry into the emerging world of the 21st century, Mihir Desai lays out the fundamentals of anticipating future financial challenges. He addresses questions related to how financial professionals can better prevent future crises, defend the industry’s vitality and reputation in the face of political and regulatory challenges, and how to both prepare the industry for game-changing technology and take advantage of those changes to propel finance into the future. Whether discussing health care, education, business or economic growth, tax policy is central to the issue. The debate over the proper collection of revenue – the rates, the structure, the incentives and penalties – dominates political conversation over the future of the economy and public services. While few deny that America’s complex and byzantine tax system needs to be overhauled, there is fierce disagreement over both the utility and fairness of various proposals. 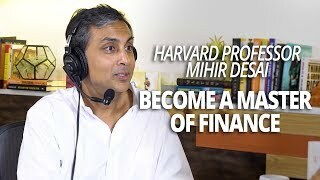 Free from partisan identification, Mihir Desai cuts through the bickering to offer his own plan to maximize growth and revenue while maintaining the fundamental principles of fairness and equity. Uniquely equipped to diagnose the problems with America’s tax system, Desai employs an economist’s rigor and a tax lawyer’s intricate knowledge of one of the world’s most complicated revenue codes to dissect, analyze, and pronounce judgment on the various reform proposals brought forth by politicians and policymakers. His presentation’s diagnosis of what is wrong with the current tax code and what is needed to fix it fairly and responsibly is invaluable to corporate executives, business owners and all U.S. citizens seeking to understand how the present system and its alternatives will affect them, for better or worse.